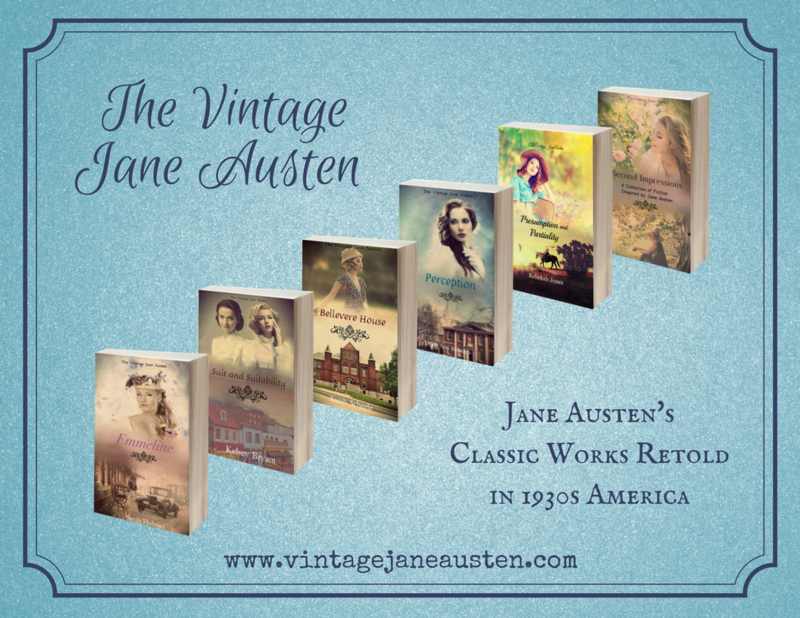 ← Vintage Jane Austen Mini-Reviews + Sarah Scheele Interview + Giveaway! That’s awesome! I’m a much more word-oriented person, but I do occasionally make diagrams or maps or such jots in my notebooks if my ideas are more visual. That’s awesome you do both! 🙂 And hurray for little notebooks to keep notes–those are great! 🙂 Thanks for reading and for your comment! Interesting. So in some ways, this is a lot what I do in Evernote on my phone. I have one document full of story ideas, and another that holds names I think I might use someday. I hadn’t thought about writing down when I finish and end stories, but that is an interesting thought. I like the idea of a writing journal, and I love that you’re able to do it and keep up with it. That said, I think that carrying around ANOTHER physical notebook all the time would be difficult . . . I’m running out of room in my backpack. My phone does for now, though. Ah, yes, the multiple-notebook-acquisition-syndrome. 😉 It sounds like what you have going for you is working, so I say run with it! You have some very beautiful notebooks! I’m kind of new to the system of keeping writerly notebooks, but I have been enjoying them so far. I have one notebook dedicated to one story, and another for various story ideas. I’m not a journaler nor would I consider myself a writer. I’ve heard other people mention how much they enjoy it. It looks like something I might enjoy too. My question: what about doing this note catching with a digital method like Evernote which I am currently using to journal life goal ideas? Is one of the benefits the randomness of dipping into these physical books and coming up with something? Would the magic of this be lost if you could actually search for something in particular? I’ve heard good things about Evernote, and I’d say that if that’s something that works for you, keeping digital notes is just as well, and if you’re more likely to keep up with that, then it’s better in your case. I personally enjoy writing by hand sometimes, but the convenience of having everything digital tugs at me at times as well… And you can always scroll down through a digital file which can have the same “discovery” feeling. 🙂 I’d say both methods are good and it’s all about finding what works for us in particular. I have tried to write in notebooks, but my bad handwriting and lack of order stresses the perfectionist side of me out. I think it’s awesome that you have so many, and that you continue to do it. I. LOVED. THIS. SO. MUCH. It was so inspiring! I know I’ve told you a million times through the years, but you ALWAYS inspire me with your writing journals and dedication to them. It’s so special how you have notebook after notebook filled with creative thoughts and ideas and journal entries about your writing life. They’re treasures! The idea of them being like a butterfly net for ideas is PERFECT! I love that so much!!! And your first ever entry was the besssst. I loved that! It was so fun hearing how important parts of your books were random ideas jotted in your journals, such as the final lines for KW! THAT IS THE COOLEST. AAAAHHHHH!!!! I so, SO wish I would actually USE my journal. I started one…what? 4? 5? years ago or something absurd like that??? And I only over used the first few pages. I DO, like a bunch of others said, use Evernote on my phone to keep up notes. And I’ve found myself using it more and more lately. This year especially I’ve gotten in the habit of throwing my ideas in it. So at least I am keeping most of my ideas and not letting them get lost in the void of my mind. xD I may just have to accept the sad fact that I’m more of a digital person than a pen and paper person these days, as much as I adore gorgeous, shiny new notebooks and the feel of a pen or pencil in my hand. I’m just never motivated to actually USE them. Lol. You are the sweetest, Lauri! I’m so glad my journals can inspire you! 🙂 (YOU inspire me, so. ;)) They are definitely treasures — I love how you put that! That green journal is /gorgeous/. These days my notebook for class has more notes for stories than it does things related to the classes. A couple of years ago my sister bought me a little moleskin, and it goes everywhere with my in my knitting bag. But it’s far from organized. There’s snippets of scenes, notes of things to add to scenes, the beginning of story ideas, names, scraps of poetry, quotes stuck in my head, cheek-by-jowl with to-do lists and due dates of assignments. And it doesn’t get the ideas that come at night — the notepad I keep by my bed is almost full, though, and the older entries are barely readable, since most of them are written either with a very pale pencil stub or a broken pen. This is really cool and the fact that you’ve been doing it for so long is wow! I write down story notes on the notes app on my phone and I’ve been doing that since I got my iPod Touch in 2011! Adghgsssdhkllkjhgfdsdgjj I loved this post so much I am positively INSPIRED. Like seriously I need like 10 separate journals now????? I have been journaling intensely since I was about 12… As writing became more and more important to me, it showed up more and more in my journal but I just have 1 “scribble-scrabble” journal??? BUT as you pointed out, that makes it hard to find the writerly things???? SO BASICALLY I AM GOING TO IMPLEMENT THIS IDEA IMMEDIATELY OKAY BYE NOW AND THANK YOU SO MUCH!!!! Oh my word, your comment made my day! 😀 You’re so welcome and THANK YOU! I’m so positively, enormously pleased to hear this post was helpful and inspiring! ^_^ Good luck on your new journaling! I hope you enjoy having a writing notebook (or few. XD) and that you’ll have all the inspiration to keep in it! ❤ Thanks for reading! This is such a cool idea! I might take a stab at this writing journal thing.